These are the in-house rentals we have available, of which we specialize in film. 6mm ARRI Zeiss Ultra16 lenses for super 16mm format cameras. 8mm ARRI Zeiss Ultra16 lenses for super 16mm format cameras. 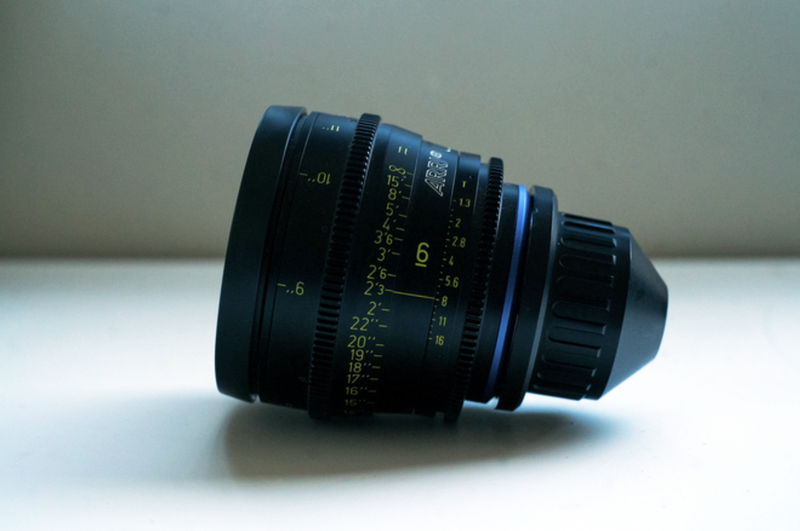 12mm ARRI Zeiss Ultra 16 lens for super 16mm format cameras. 6mm, 8mm, 12mm ARRI Zeiss Ultra 16 lenses for super 16mm format cameras. Also available - DeFoe clip-on matte box for these 95mm front lenses, with two 4x5.6 filter holders and 4.5 rotating holder for a polarizer. PL mount, 2 200' magazines, max 50 fps, internal cell batteries (for ultimate lightness), battery belt, video tap, 15mm short rods, 13 extra spools (must return after processing; missing spools are $300 each). ARRI 416 PLUS - up to 75 FPS, 3 400' mags, 3 batts, short and long eyepiece, video tap (needs bnc to composite adapter), remote start with short and long cables (great for car rigs), 19mm rails, dovetail, accessories, tools. ARRI 435 XTREME, 4-perf, .1 - 150fps, programmable speed ramps and time laps, forward and backward run, 3 400' mags, short and long eyepiece, remote start with short and long cable (great for car rigs), dovetail, accessories, *as of now NO BATTERIES for rent*. DeFoe Tech 4x5.6 screw-on Matte Box, Schneider circular polarizer, Schneider ND .9, 2 slots for 4x5.6 filter, one slot for a circular pola (you can rotate the pola while it is in the mattebox). For 95mm lenses such as the ARRI/ZEISS Ultra16's or the Canon 8-64mm zoom for super 16mm.